So... when you go outside in normal clothes, not camo, walk into place where roes and deers sometimes come and sit against the tree, just in hope that birds will stop minding you and will come back to the bushes. And then HE walks onto you, little few meters away and he doesn't notice that you're not lump on the tree, but a human. I stopped breathing for a moment, blessed myself for having quiet shutter and sworn, since didn't even think to check settings, so half of pictures were blurry. But what a rush it was. Huge fave. 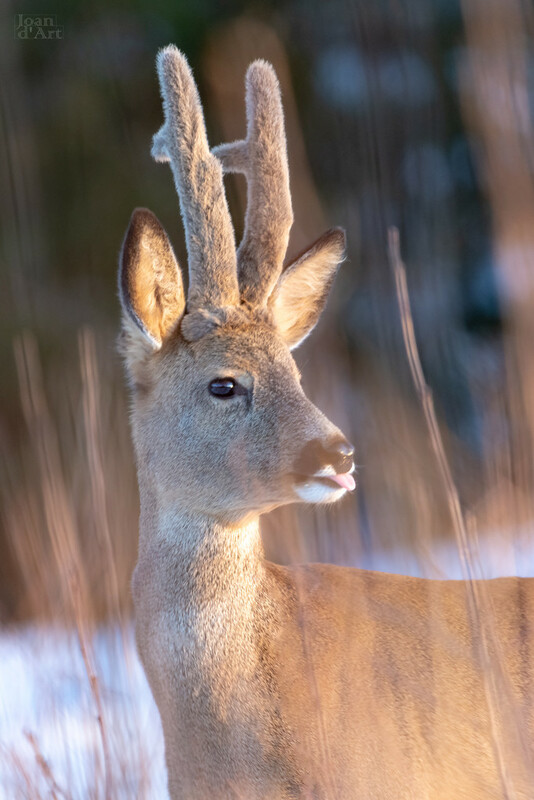 What a fantastic image, I love the soft velvet of his antlers. Has your heart rate returned to normal now!! Wow! Flaumel, this is wonderful! Amazing shot, did you consider adding more contrasts? I love this just the way it is!